ARE YOU READY FOR TODAY’S GLOBAL PAN-AFRIKAN LANGUAGE? 1. 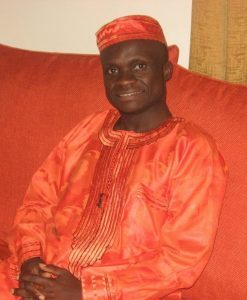 ​I have been doing Swahili tutoring for now 20 years and counting. 2. I am born in Zanzibar, cradle land for the Swahili language but currently live and work in Nairobi, Kenya. 3. I love, live, eat, drink, sleep and dress the Swahili language and its culture. 4. I am the only African who can read an English newspaper in the Swahili language. 5. I have translated over 5,000,000 words from English to Swahili and vice versa and counting. 6. Most of my Swahili students end up being also Swahili tutors and trainers due to the inspiration I instill in them. 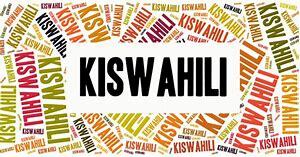 KUKIHUSU/ ABOUT IT WHY LEARN SWAHILI? 1. It’s the fastest growing language in Africa. 2. It’s deemed to be one of Afrika’s key unifying factor. 3. It’s spoken by close to 200 Million speakers world over. 4. It’s the Afrikan language of love and romance and etiquette and discipline and … if used correctly and effectively. 5. It’s an entrepreneurial language and for those that master it mint money from it. It’s their gold mine! 6. Its diverse and rich history and culture and how it shapes today’s world view. 7. It’s a redemption factor to Individuals passionate with Pan-Afrikanism that have been alienated to their roots in Afrika and that are being propelled to learn the Swahili language. Deciding to learn Swahili with AbibitumiKasa.com is one of the best decisions you have made this year! I am happy that by now you understand more about your professional and native Swahili tutor Mpasua Msonobari and most importantly the world’s biggest online portal for teaching Afrikan languages. I am even happier that you have understood several reasons as to why people decide to learn the Swahili language and some popular Swahili words. Why did you decide to learn Swahili? Do you know of any Swahili word or sentence and how did you come to know it? Rest assured that as I interact with you in those online classes and chat rooms regardless of the level – Entry, Intermediate, Advanced or even the newest level that we are calling Swahili the Gold Mine – I shall make them exciting, passionate, practical, engaging, interactive and evaluative. If you are a new student wishing to start afresh in learning the Swahili language, welcome to your Swahili home! For that average student that wants to polish his/ her Swahili language prowess, welcome to your Swahili home! To that old student that wants to further his/ her understanding and usage of the Swahili language, welcome to your Swahili home! And to that confident and familiar student with the Swahili language that wants to monetize the Swahili language and turn it to a gold mine, you are not only welcome to the Swahili home but feel very much at home and enjoy the mining! At AbibitumiKasa.com we have special love for Groups, Families, or Organizations that wish to learn together. Remember that Afrikan proverb, “If you want to go fast, go alone. If you want to go far, go together.” My experience of tutoring Swahili for now 20 years and counting has shown that when you study Swahili in a group you are bound to get more motivated and enthusiastic about learning it. It also contributes to your creativity due to the diversity of ideas among the Swahili Learners in the group. Last but not least is the idea of peer collaboration which enables you and the different Swahili learners in the group to learn how to support, monitor and facilitate each other. Ultimately, you end up overcoming shyness, get rid of complexes or mindsets and help you discover leadership qualities among yourselves. I assure you that as you learn the Swahili language with us the successes and achievements shall be exhilarating! I wish you the best and see you in the classes online. 1. To help the Swahili learner in the delivery of conversations, speech, writings and sharing school of thought by the learner through knowledge and usage of the Swahili language and application of its culture. 2. To equip the Swahili learner with knowledge and proper usage of different types of Greetings to different people at different times and occasions. 3. To make the Swahili learner have the ability to introduce self, partner, family, friends, colleagues and associates to a significant extent. 4. To prepare the Swahili learner to be able to achieve a proper Swahili sentence structure and establish different conversations at different scenarios and times through proper pronunciations and application of correct grammar. 5. To stress on the Swahili learner to record, document and archive all the Swahili learning materials used and information including but not limited to the online assessment tests and lesson recordings to help you further instruct oneself and even other new Swahili learners..
6. 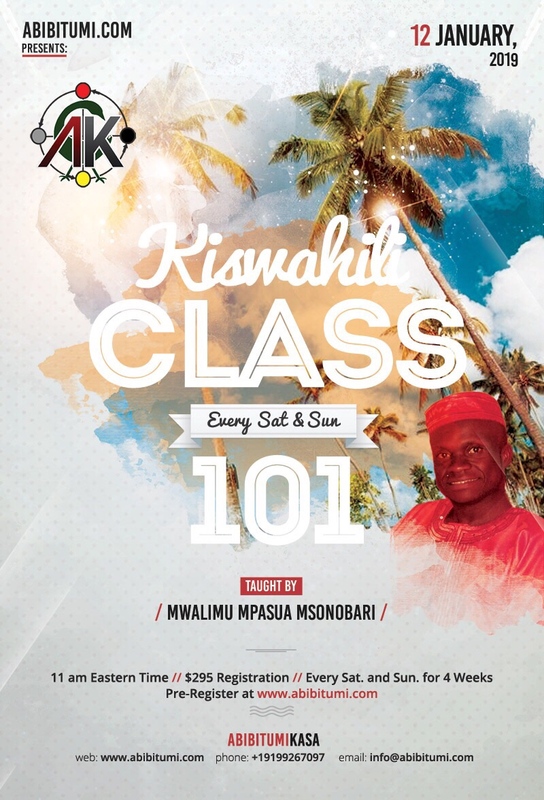 To furnish the Swahili learner with the ability to exude confidence and ease by enjoying a proper comprehension of the Swahili language and striking a conversation willingly with self, partner, family, friends, colleagues and associates. 7. To create awareness on the significance of the Swahili language as an international language, lingua franca in East and Central Afrika and national and official language to several Afrikan countries. 7. Do overall practice in Pronunciation, Vocabulary, Phrases, Speaking, and Conversation & Dictation before moving to the next Unit. 6. Do overall practice in Pronunciation, Vocabulary, Phrases, Speaking, and Conversation & Dictation before moving to the next Unit. 13. Start singing simple Swahili songs. Never mind even if they are children songs! 1. It is important that you be present in class and ready to learn. 2. Kindly make a point of participating in discussion, respond to questions in class. The more actively you are involved during the sessions, the more you will learn! 3. It is good to work together on the so called Online Assessment Tests, but be sure to write your own answers and try to understand what you are writing.